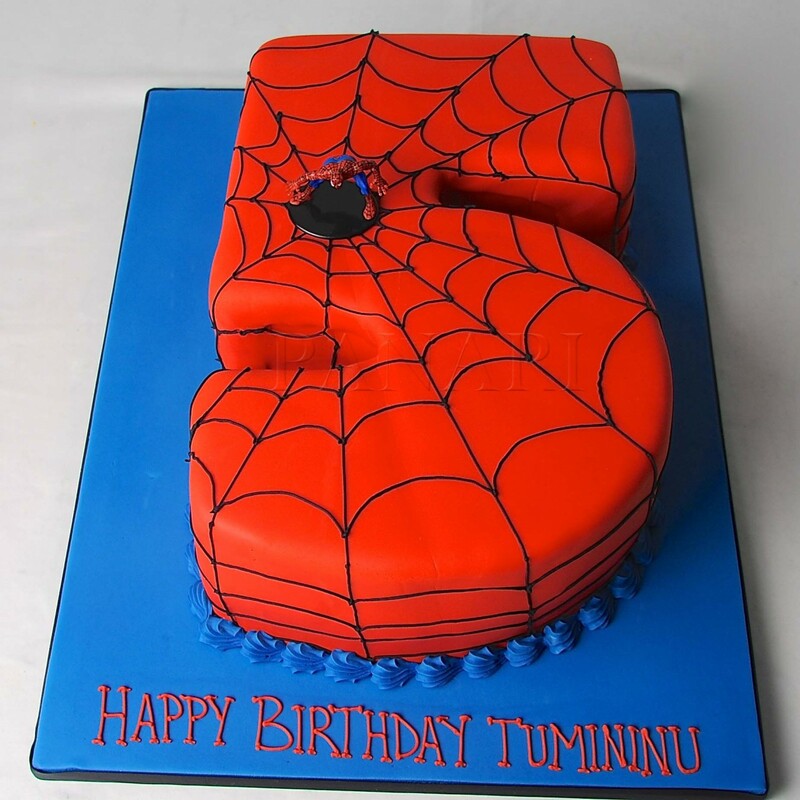 November has arrived and brought with it a month full of birthdays for our large and crazy family! 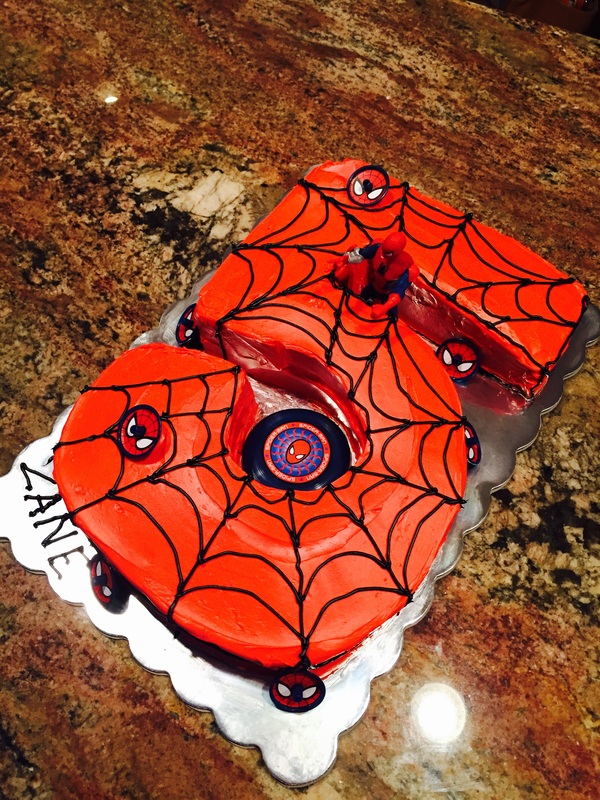 My grandson,Zane, turns 5 this month and he decided that he wanted a Spider-man Cake. 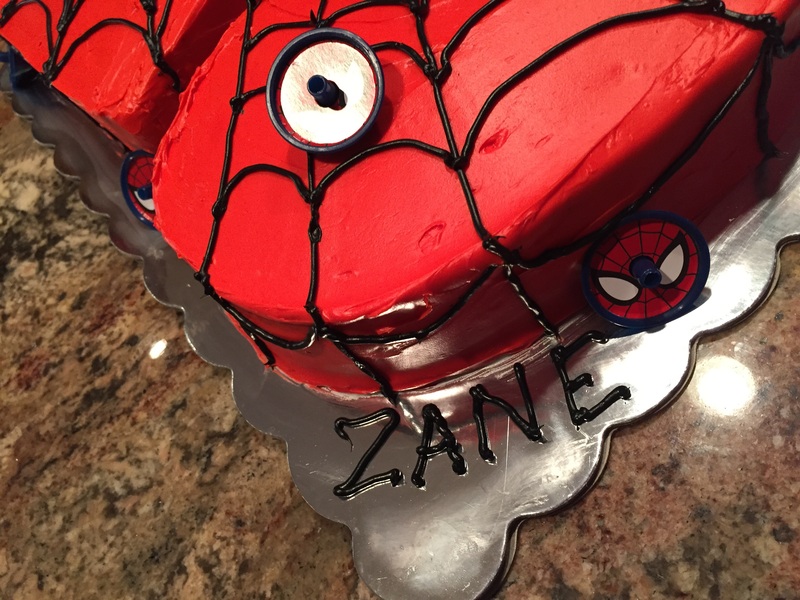 So we logged on Google to find the exact cake he wanted for his birthday party. I was secretly hoping he would not choose that one – all I saw was disaster. I started thinking how I would make it. 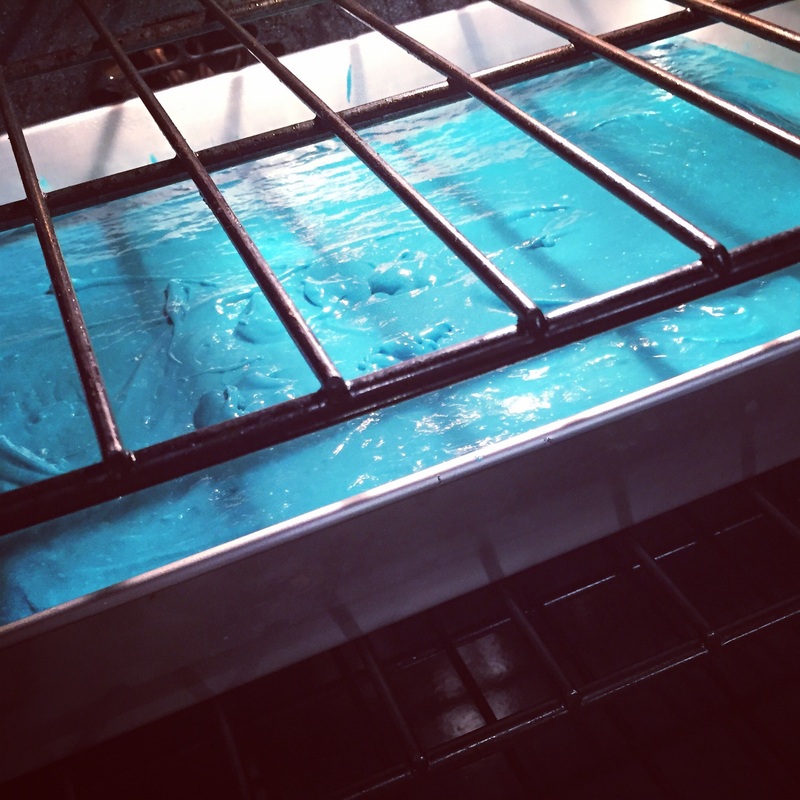 I could use Rice Krispies treats to form the body. 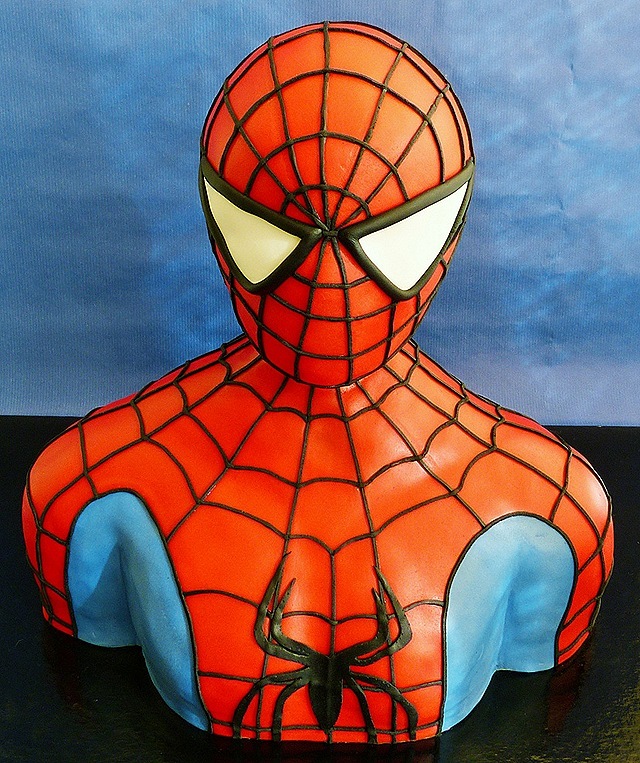 I could use a Styrofoam head form as the head and then cover the whole thing in red fondant. My head started spinning. But, if that was what he wanted then I would for sure give it my best shot. 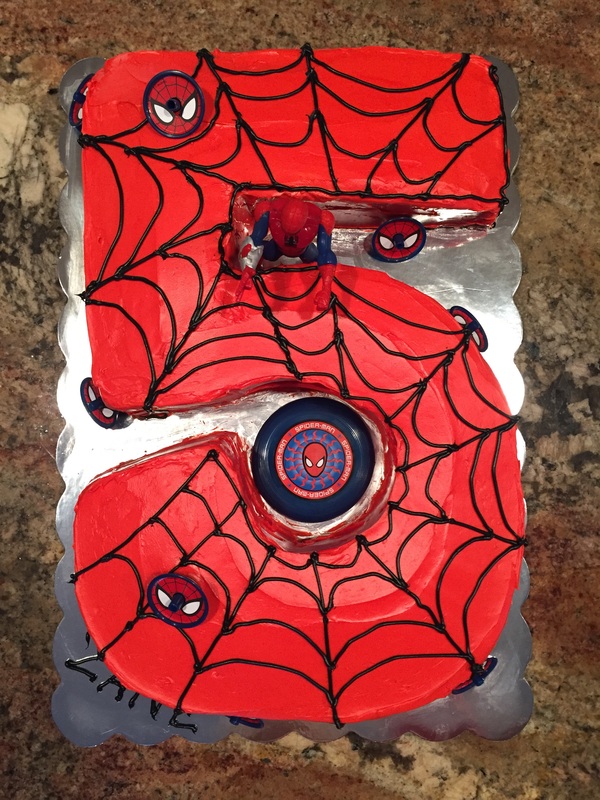 Because as a Grandma, that is what we do ……right? And he smiled a big sweet smile and said, ” Nannie, I like this one. Can you make it?” And of course I said, Yes!! 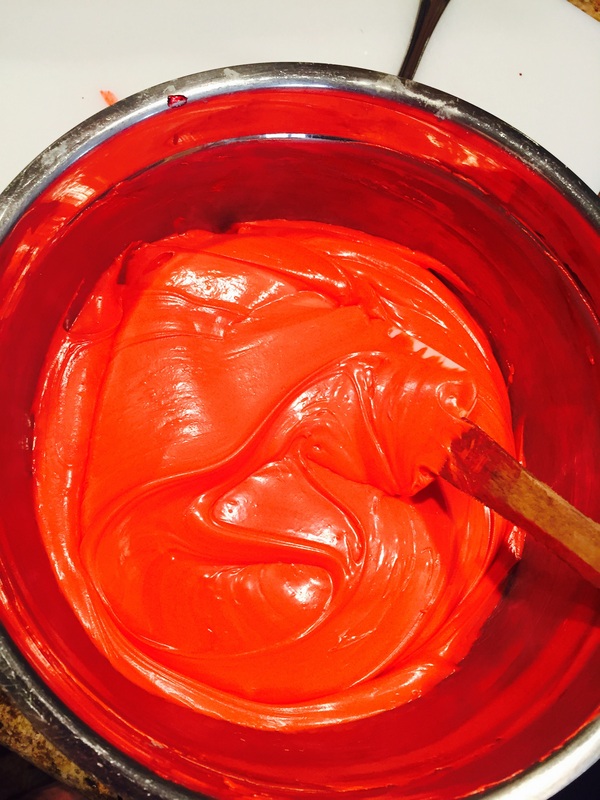 Follow the pictures below showing the steps from start to finish. 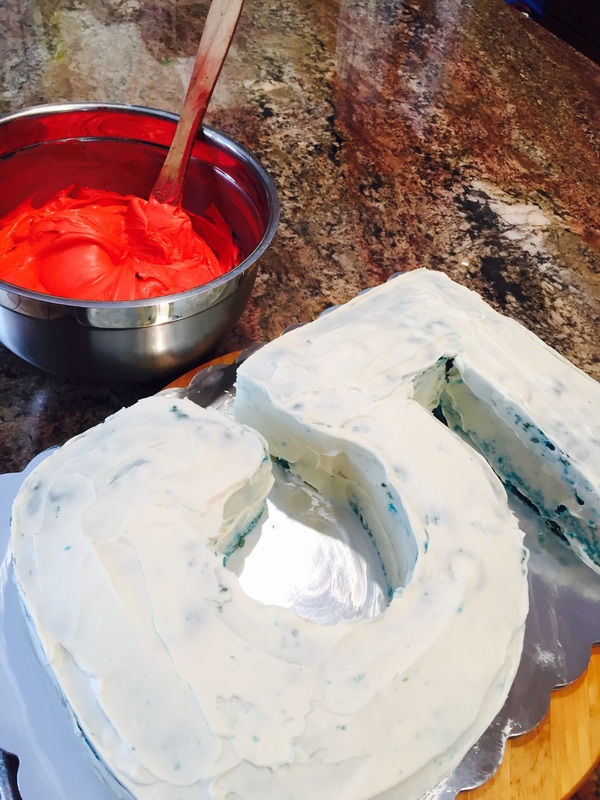 I made a blue velvet cake with red frosting. 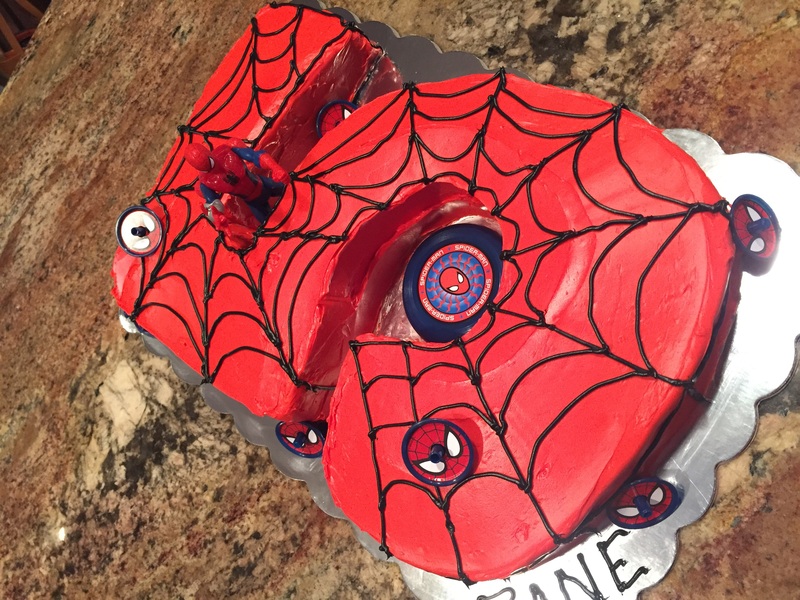 I embellished it with a spider web of black frosting (I forgot to take pictures as I was piping on the web) and then added various Spider-Man trinkets. 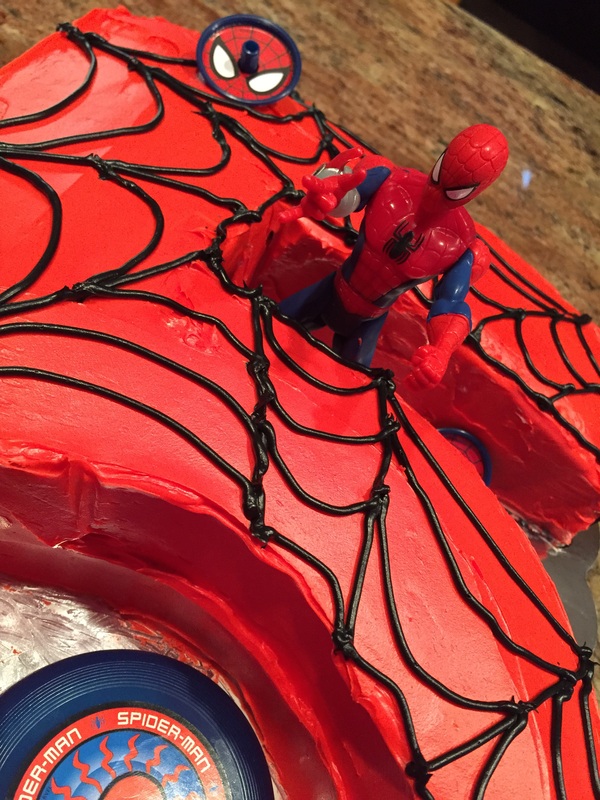 I think it turned out pretty cool- Go Spidey!! 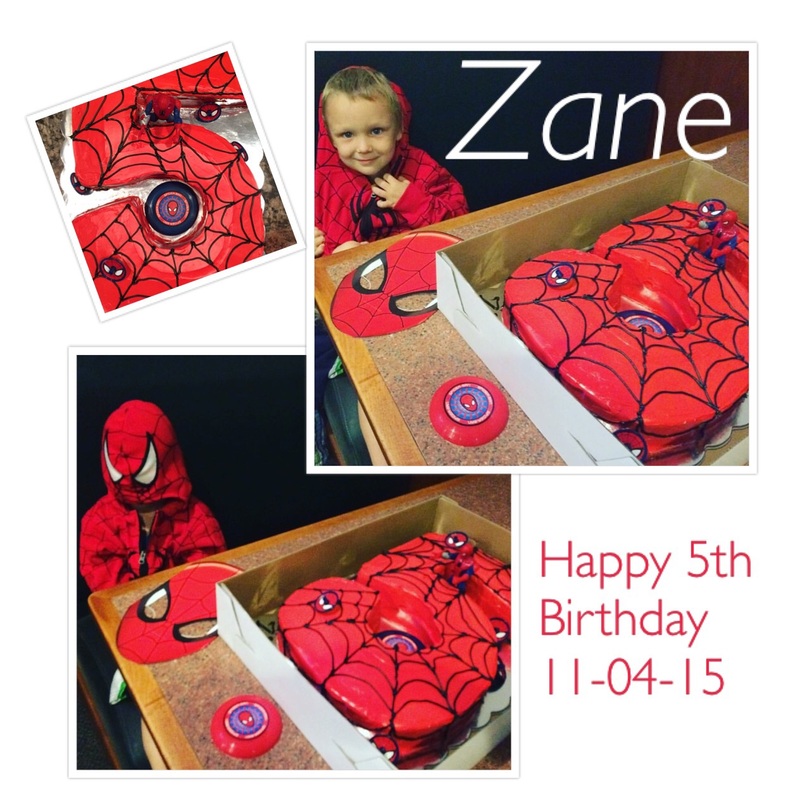 Happy 5th Birthday to our Grandson Zane!!! Nannie and Pappie love you!! 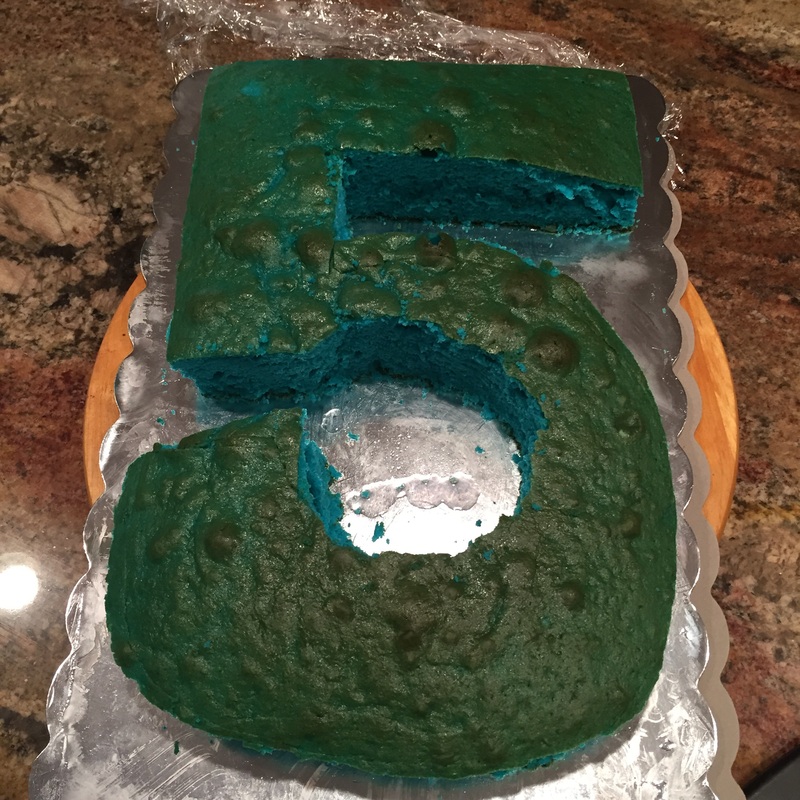 Baked the blue velvet in a large sheet pan, cooled it completely and cut out a five. 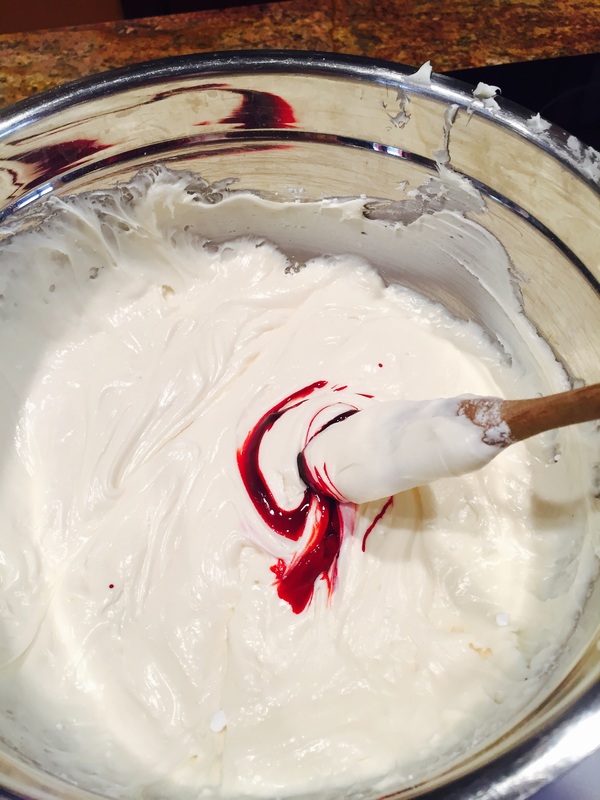 I crumb coated it and put back in fridge to set while I mixed my red frosting. 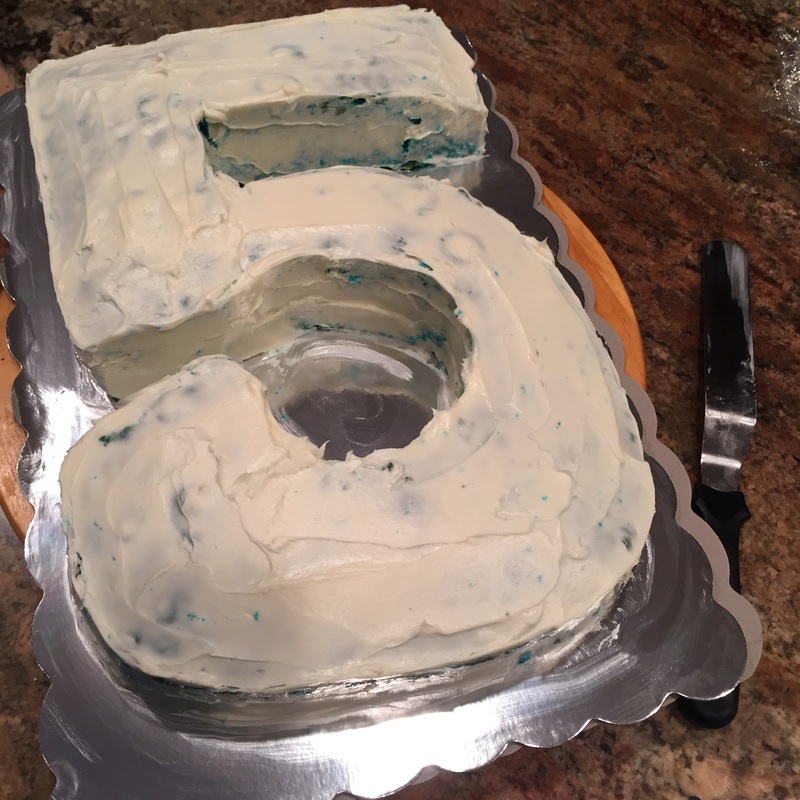 Frosted the entire 5 in red then piped on the web with black frosting.